Director – Jack Smight, Screenplay – John Gay, Based on the Novel by William Goldman, Producer – Sol C. Siegel, Photography – Jack Priestly, Music – Stanley Myers. Production Company – Paramount. Actor and theatre manager Christopher Gill likes to kill women. Each time he creates an elaborate disguise and identity for himself to win their confidence before strangling them. When police detective Morris Brummel mentions to the press that the killings were cleverly planned, Gill begins to call Brummel up to tell him about the murders and the two strike up a bizarre friendship. When Alfred Hitchcock made Psycho (1960), there was a rich vein of black comedy to the film that most audiences did not see. Most of the imitators, except to some extent Robert Aldrich, didn’t either. This is one of the exceptions, an entertainingly outrageous farce on the psycho genre. 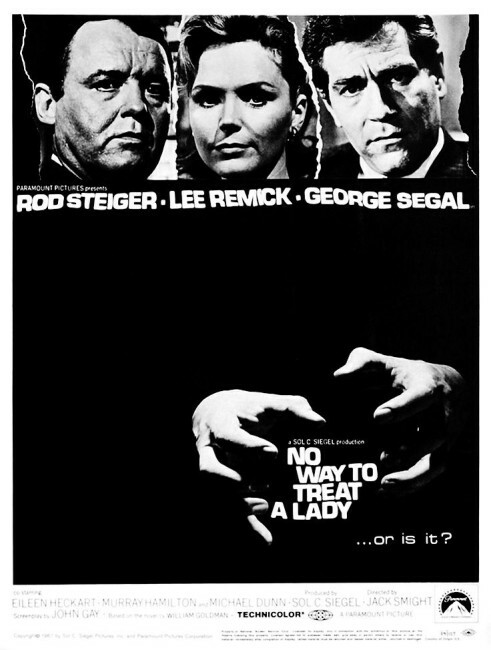 In fact, No Way to Treat a Lady makes amusing contrast to the more sober The Boston Strangler (1968), which came out seven months later the same time year – No Way to Treat a Lady could be a comic take on the same police and public panic created by the killer that The Boston Strangler made its focus. (Original novelist William Goldman admitted that the Boston Strangler killings were his inspiration for the original 1964 book). Some of the scenes with Michael Dunn as an inept dwarf actor trying to take the credit for the killings, or a sequence where George Segal announces a fake killing in the newspaper to trap Rod Steiger are extremely funny. 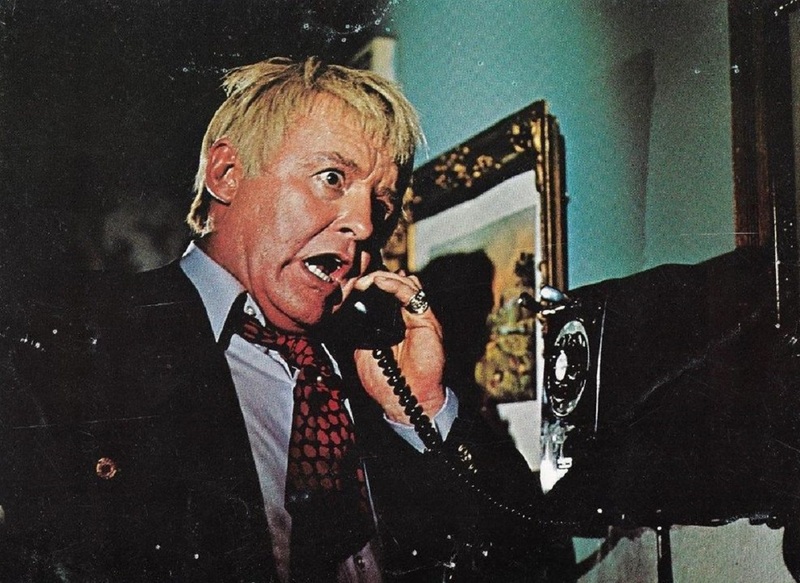 Rod Steiger has some amusing moments, particularly as a fallen Irish priest and a gay hairdresser. However, by the end, the combined weight of his shameless overacting works against the film. Jack Smight, never the most adept of directors at the best of times, leaves the film’s potential for suspense largely untapped to concentrate on the laughs. The romantic scenes between the charmingly boyish George Segal and the sexily insouciant Lee Remick have an amusing lightness. No Way to Treat a Lady was directed by Jack Smight who also made such genre entries as The Illustrated Man (1969), Frankenstein: The True Story (1974) and the post-holocaust film Damnation Alley (1977). The film was based on a 1964 novel by the celebrated screenwriter/novelist William Goldman also known for screen works such as Butch Cassidy and the Sundance Kid (1969), The Stepford Wives (1975), All the President’s Men (1976), Marathon Man (1976) and The Princess Bride (1987), and various Stephen King adaptations including Misery (1990), Hearts in Atlantis (2001) and Dreamcatcher (2003).